Support for coastal shipping down the east coast of New Zealand is gaining momentum in Kaikoura, as the quake-isolated town basks in the relative calm of roads rarely troubled by heavy trucks. Residents have started a petition asking the Government to consider permanent alternatives to long-haul trucking, pushing them off State Highway 1 when it eventually reopens. The 7.8-magnitude earthquake last November caused major landslides north and south of Kaikoura, cutting rail services and forcing freight companies on a lengthy detour down the middle of the South Island. 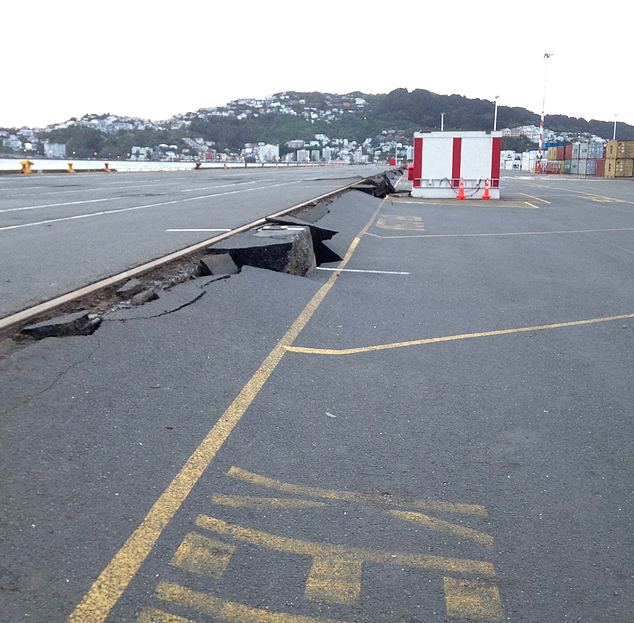 Road and rail disruption from November’s earthquake has prompted calls to explore coastal shipping. Kaikoura resident Lynda Kitchingham, who started the petition, said all through-freight should continue to be shipped, or transported by rail, when the highway opens again, essentially bypassing Kaikoura. While trucks would continue to use the highway to make local deliveries, this was a golden opportunity to move large, long-haul freight off the road and onto sea and rail, she said. This was more environmentally-friendly as ships and rail could carry more freight, making fewer trips, Kitchingham said. The petition also called for a safe cycle and walking track from Marlborough to Canterbury, a concept that had been widely promoted since the earthquake. It was also an opportunity to create a world-renowned Kaikoura coastal scenic highway, similar to Australia’s Great Ocean Road, Kitchingham said. The road rebuild was being run by the North Canterbury Transport Infrastructure Recovery alliance, which included the NZ Transport Agency, KiwiRail and several infrastructure companies. The alliance directed requests for comment onto KiwiRail, which had yet to respond. The calls to look into coastal shipping for long-haul freight had garnered cross-party support in light of November’s earthquake. 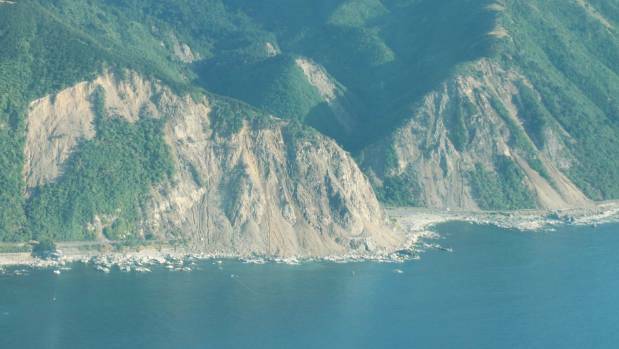 Kaikoura MP Stuart Smith said coastal shipping had not been properly considered in the plans to reinstate the travel corridor following the earthquake, something he was concerned about in terms of resilience. 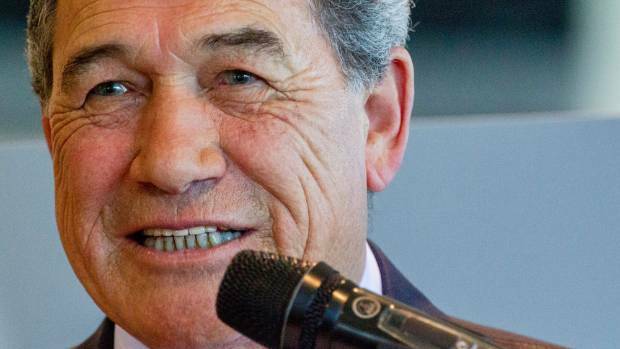 “We don’t have a good plan in place for our transport infrastructure,” Smith said. “We will have an event [such as another earthquake] at some point when our road and rail networks are severed. Smith said there was also the need to reduce carbon emissions in line with the Paris Agreement on climate change by 2020, and shipping was an efficient step towards that goal. 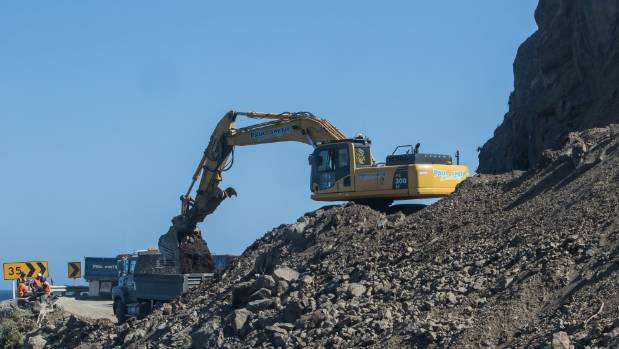 It also eliminated double-handling of freight where goods in containers were loaded on and off rail wagons before being put back onto trucks for transport to Christchurch, he said. Green MP Steffan Browning said the Green Party had always supported coastal shipping for bulk freight for energy efficiency and to relieve pressure on the roads. “It’s a no-brainer, but it’s a matter of how the Government can get behind it,” he said. Browning said most of the long-haul freight trucks were not going door-to-door but base-to-base, and not stopping in Kaikoura to prop up small businesses. Transport Minister Simon Bridges said coastal shipping had been a strong part of the transport response to the quake with extra services from Auckland and Tauranga to Lyttelton reducing road freight demand on SH7. Commercial players would make decisions based on their current and future needs. As well as NZ Connect, KiwiRail had also set up an inland freight hub in Blenheim for the movement of freight between islands, and developed additional coastal shipping plans which could be quickly put into operation if there was further disruption in the South Island, he said. The increase in coastal freight was equivalent to 10 to 20 trucks per day off the road, Bridges said. Kitchingham said this was a step in the right direction, but with Ministry of Transport figures showing about 550 heavy vehicle movements on SH1 between Picton and Waipara prior to the earthquake there was still a long way to go. It was important to consider permanent alternatives, rather than just focus on using them following a disaster, she said. The petition would run for a month and could be signed at various locations around Kaikoura, as well as online on the Truck Free Kaikoura Facebook page. It will be presented to the Kaikoura District Council, the North Canterbury Transport Infrastructure Recovery alliance and local MPs for presentation to Parliament. A widened road as well as new parking bays and pull-over areas are among options being considered for the restoration of the Kaikoura State Highway 1 route in order to accommodate larger trucks in greater volume. Members of the North Canterbury Transport Infrastructure Recovery (NCTIR) alliance, which has been formed to lead the restoration of the earthquake-affected coastal road and rail network, are understood to be in the throes of finalising plans for the project. At a recent residents’ meeting in Kaikoura, NCTIR head Duncan Gibb reportedly said the aim was to have the coastal road route reinstated by the end of the year. Albeit, he acknowledged this would be a challenging task. It is understood that some residents in attendance questioned if all alternative options had been fully considered, with it noted that future slips could still impact the reinstated road and that catering for increased trucking volumes would negatively impact the tourist experience. In this vein, a viewpoint was reportedly expressed that future consideration could be given to using shipping services over road or rail for non-urgent and non-perishable goods, in order to lessen greenhouse gas emissions, noise and “perceived intimidation” of increased trucking. No Rail services are operating in the South Island north of Christchurch. Rail services south and west of Christchurch are normal. All shipping lines, both domestic (Pacifica) and international, are being incredibly supportive to provide all the container slot capacity we need. We are working with other parties to introduce additional vessel capacity, including northbound Chc to Trg/Akl. All shipping lines are also pitching in to supply containers far in excess of the numbers normally available for domestic freight. This comes at a huge cost to an industry that has struggled somewhat in the post GFC environment, and we are most grateful for their support at this time. We are working with other parties on a longer term solution to the container supply issue, and this will most likely involve round tripping most of any additional fleet. This carries cost that will need to be recovered but that is a conversation for another day. Unfortunately Centreport’s (Wlg) container terminal has sustained a lot of damage so do not expect any containers to move to/from Wellington by sea. Talk to us about providing a rail alternative within the North Island for containers to/from Wellington. Service – given the extreme pressure on my team trying to keep a large amount of this country’s freight task moving, I think it is important to have a realistic expectation of the service levels that are achievable. As shipping capacity fills rapidly at present, your first choice of vessel may not be available, or we may have to roll cargo to the next available vessel without consultation. Door to door pick up and delivery services are under pressure in Auckland, and we expect worse to come at the Christchurch end. We will endeavour to deliver freight in a timely manner but please expect bottlenecks and delays. We will not be able to process requests for cut off extensions. We can not process any last minute requests. Please give us as much notice of any service requirement – at least 48 hrs but preferably plan at least a week ahead. 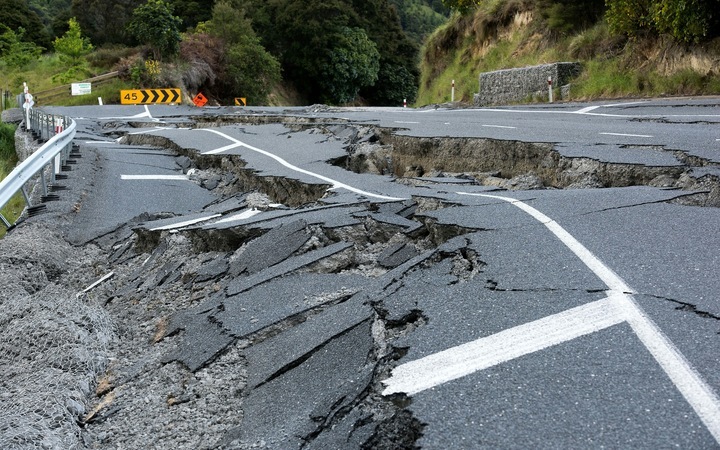 Following Monday’s earthquake and the closure of State Highway 1 because of slips and damage to the highway, many operators are asking about freight vehicle access through Lewis Pass (State Highway 7). 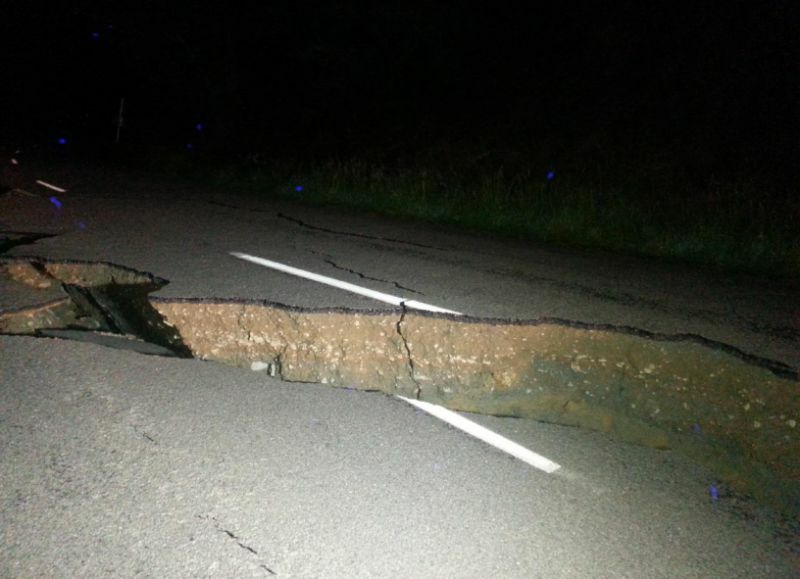 The NZ Transport Agency has put in place a number of speed restrictions and restricted access to single-lane across some bridges to enable the route to be opened up to full HPMV following the earthquake and closure of SH1. It is critical that everyone observes the various traffic management restrictions in place. With higher volumes of traffic and route restrictions on SH7, we are asking everyone to take extra care, be patient and courteous when travelling along the route, and allow extra time for their journey. Average journey times between Christchurch and Picton are currently expected to take seven and a half hours. We are currently working on the logistics of over-dimension vehicle use of SH7 and will ensure we keep you updated with any further changes. If you have any specific queries regarding route access, please contact the Permitting team on 0800 699 000 or email applyhpmv@nzta.govt.nz.